Browse through the yummy side dishes below! I am sure you will find a few that will make your mouth water! And, if you need a dessert to go with your meal be sure and check out our delicious Mandarin Orange Salad with Pineapple and Cool Whip! It is the perfect light and cool dessert to finish your meal. You just cannot have BBQ or grilled food without corn on the cob, right? 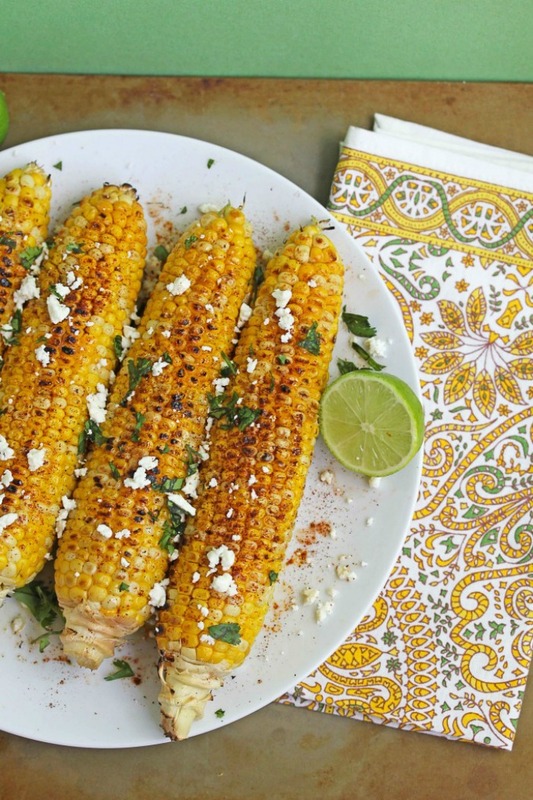 This Mexican Grilled Corn on the Cob from Grandbaby Cakes amps up the flavor with a bit of Mexican flair! It is the perfect accompaniment to whatever main dish you are preparing. I’m not sure about your house, but here, grilling and BBQs always have a side of potato salad! 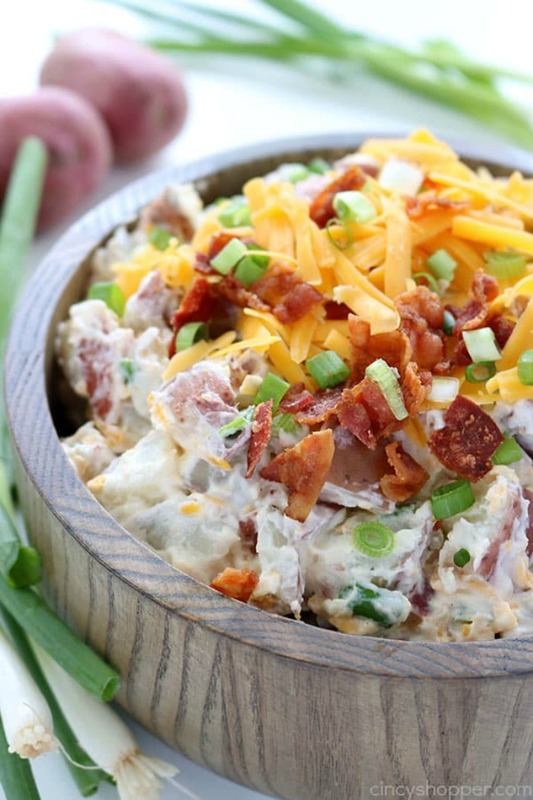 This Loaded Potato Salad from Cincy Shopper has all the delicious flavors of a loaded baked potato only in a potato salad, making it the perfect side dish. 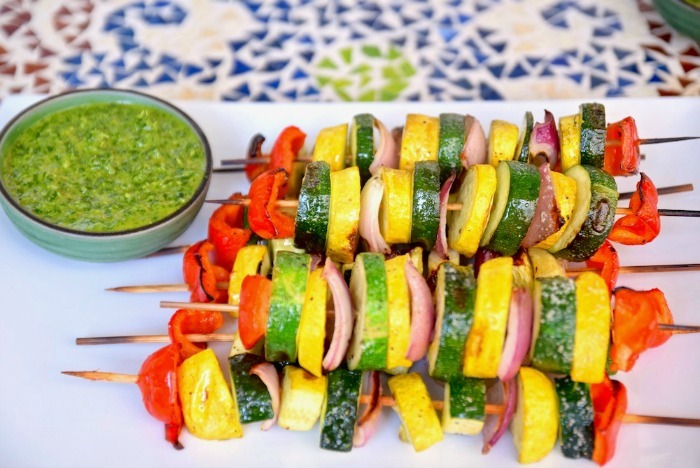 I love grilled veggies and these Vegetable Kebabs with Cilantro Chimichurri from Tasting Page make the perfect side dish for your meal. Or, if you are like me and eat mostly vegetarian, you can make a meal out of these – no kidding! They are super easy to make and are vegan, gluten free and dairy free. You just cannot have a cookout without coleslaw! It is a favorite side dish at any summer bbq or cookout! 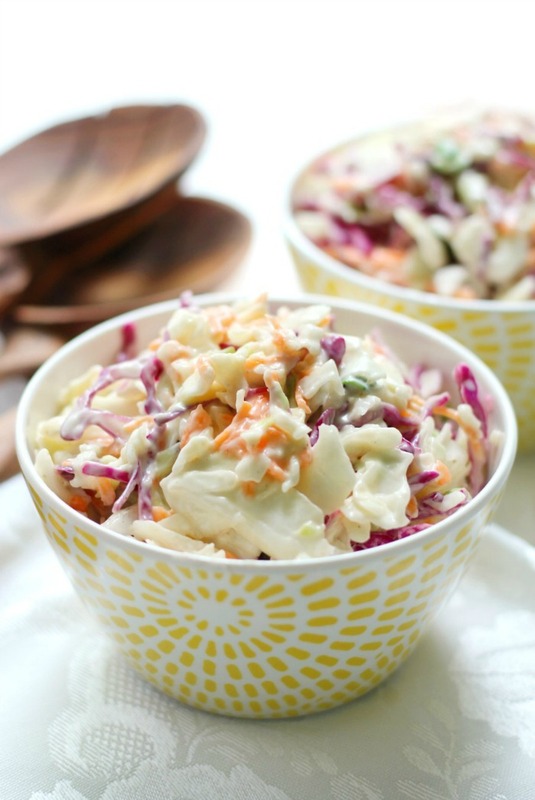 This Classic American Coleslaw from Strength & Sunshine is super easy to make ahead of time and you can serve it chilled or on a BBQ sandwich. This recipe is also gluten-free, vegan, and top 8 allergy-free! For Your Next Cookout, You MUST Try a few of these Grilling Side Dishes! Click on the images below to explore these 90 Grilling Side Dishes from our friends! Please leave a comment on your favorites so our bloggy friends know you found them at It’s Free at Last! ~ Have fun grilling!